This week details have begun to emerge that the Aztex Soccer Foundation is undergoing a makeover and branding themselves as the Austin Soccer Foundation. In a post to Eberly’s Army members, foundation president Ed Easton details some of the motives behind the change, and announces an upcoming event, scheduled for July. I know that many of the folks on this page participated in events or bought jerseys last year that benefited the newly-created Aztex Soccer Foundation. Thank you! The Foundation was the charitable arm of the Aztex conceived by David Markley and others to raise money to support scholarships for local athletes and field rehabilitation for local youth leagues. In 2015 we awarded $5,000 in scholarship money to two deserving student-athletes and made more than $1,200 in grants to other soccer-related groups in Central Texas. 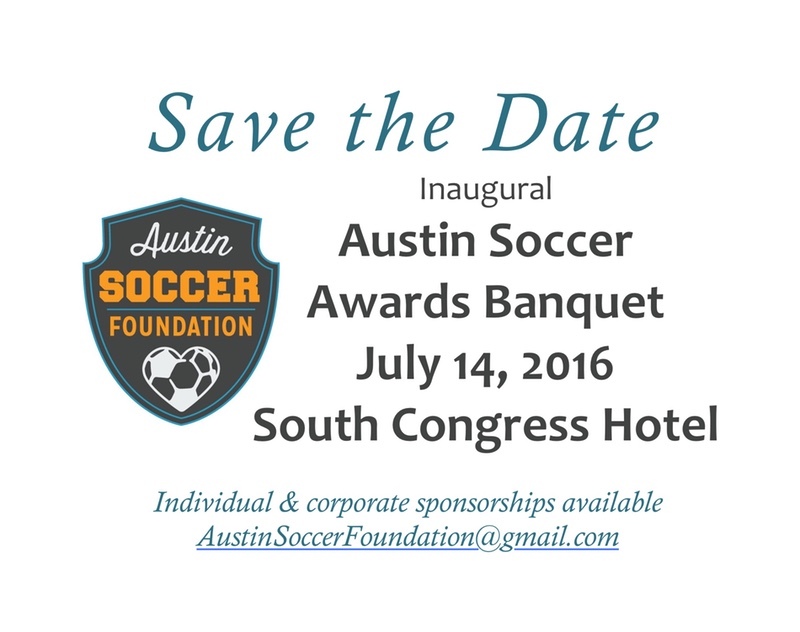 With that as background it gives me great pleasure to let you guys know that in mid-July ASF will be hosting the first-ever Austin Soccer Awards Banquet, which we hope will become an annual gathering. The dinner will take place on Thursday, July 14th at the new South Congress Hotel. That evening we’ll make several award presentations and our keynote speaker will be former USMNT and MLS player Tony Sanneh. Tony is also the founder and Executive Director of his own very successful and inspiring charitable foundation headquartered in St. Paul, Minnesota. Gina may recall that he is ex-DCU (along with several other teams). There will also be a silent auction and other fun surprises.